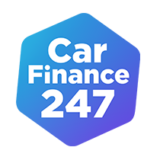 In 2006 Reg and Louis Rix started CarFinance 247. While running a successful online car classified business, which was later bought by RAC, they spotted one big gap in the market. People were finding it hard to get honest advice on car finance. We’re the number one car finance website in the UK for a reason. It’s because we pride ourselves on being the best. For us, it’s about constantly improving our customer experience to make it straightforward and fuss-free. By ensuring your experience is smooth from beginning to end, and using new technologies to make it easier and quicker for you to see your options, we put you in control of your decisions. That way, you can focus on the fun bit – getting your new car.